Give your Easter ham a gourmet makeover with one of these 5 incredibly easy and super delicious glazes. Which one will you pick? My favorite thing about cooking a ham for any menu is it’s super hard to mess up. Unlike turkey, a fancy cut of beef, or seafood, it’s already cooked when you start! So you just have to warm it up and if you want to get really “fancy,” add a glaze for that crunchy caramelized bacony taste everyone loves. If bacony isn’t a word, it should be. 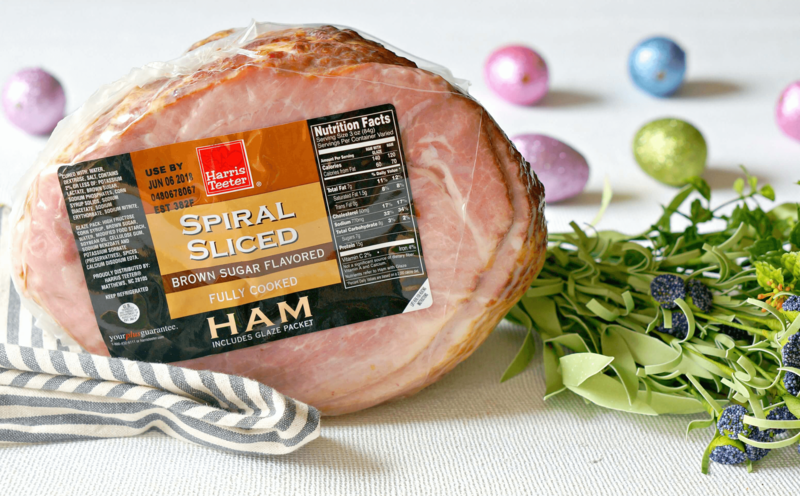 You can always use the glaze that comes with the ham - the brown sugar glaze that accompanies the Harris Teeter Spiral Sliced ham is quite good. 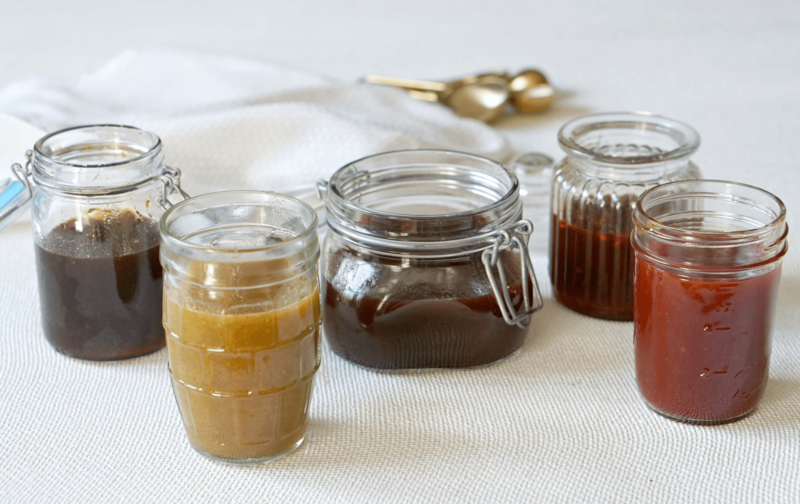 But, if you want to spruce things up, these Easter Ham Glazes are incredibly easy and include just THREE ingredients! For all of these the directions to make the glaze is simple - measure ingredients and whisk until smooth! Cook the ham according to the package instructions. Baste every thirty minutes or so until desired temperature is reached. If the ham begins to darken more than your liking, cover with foil for the remainder of the cooking time. 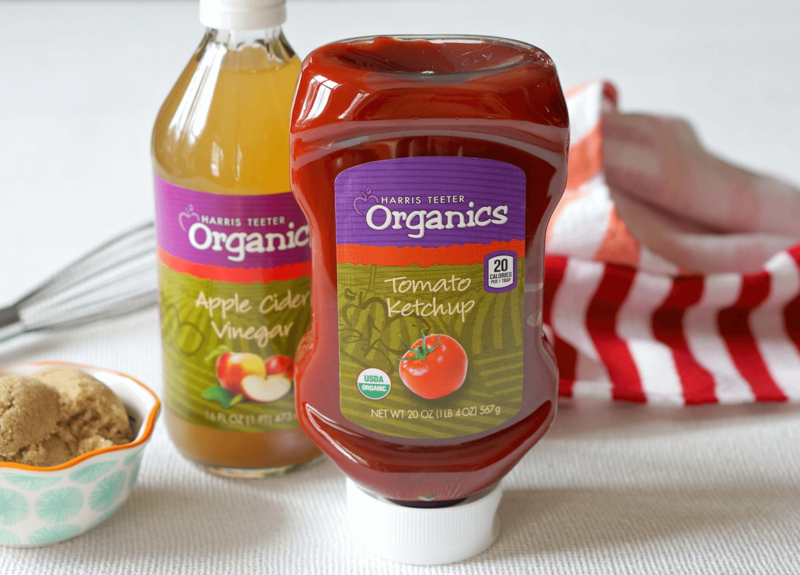 A little bit of sweet and a little bit of spice makes this glaze one of my favorites. Use a little or a lot of the chipotle in adobe depending on how hot the crowd likes it! This classic pulled pork combo is great on a baked ham too! 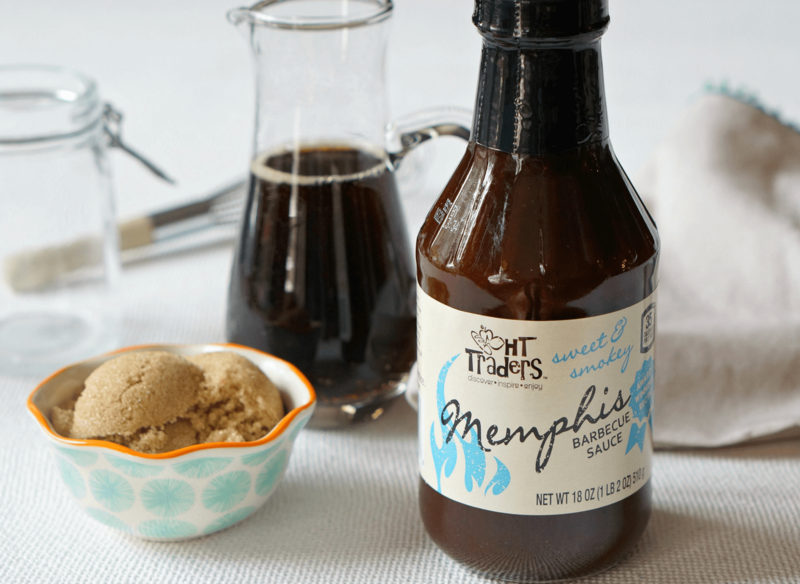 I like root beer in this sauce, but a cola would be fine too. This glaze makes a really great caramelized crust! 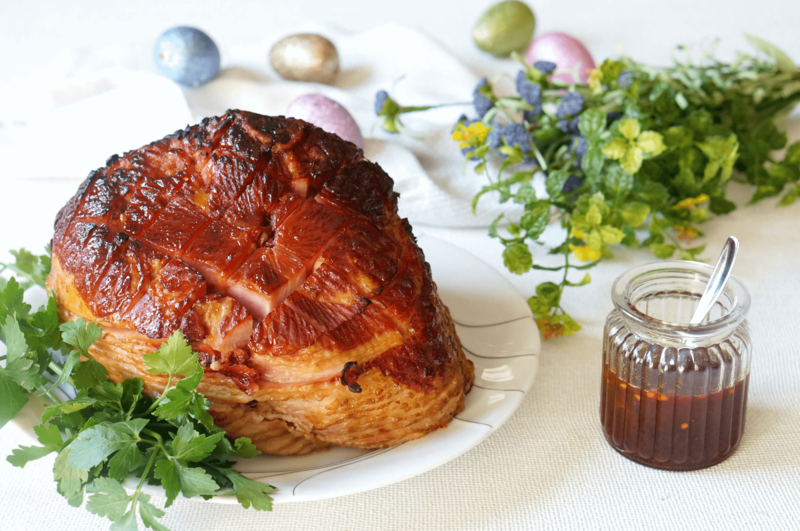 If you like your ham smoky and sweet, this is the glaze you should make this Easter for your ham. This glaze is a classic! 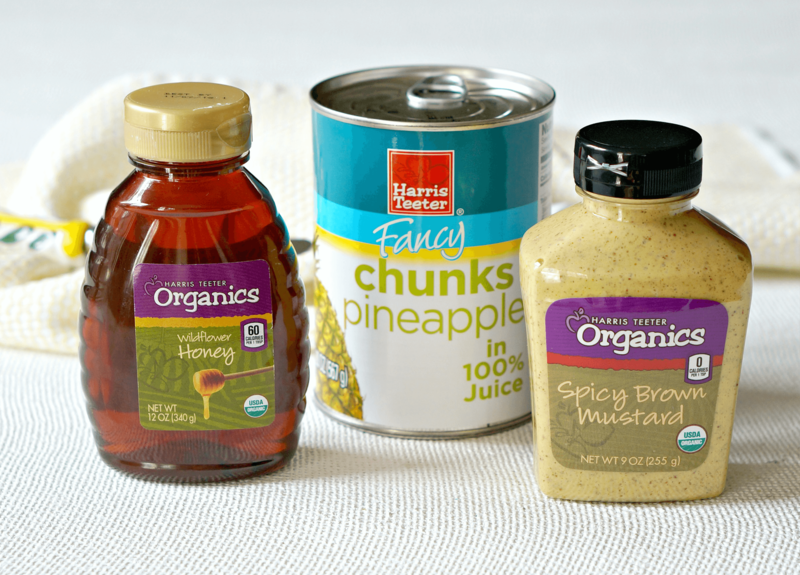 Save the canned pineapple to make ham and pineapple kabobs with leftovers! 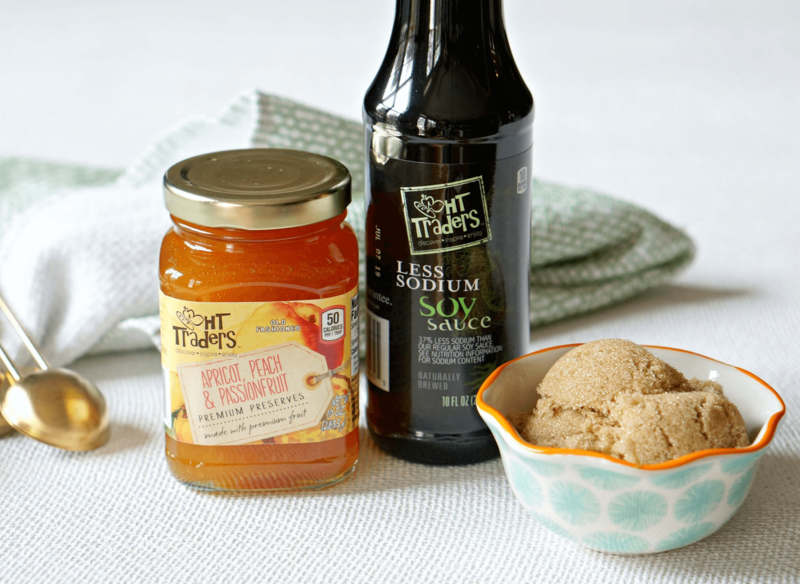 I’m making this Soy Apricot Glaze for my Easter Ham this year. 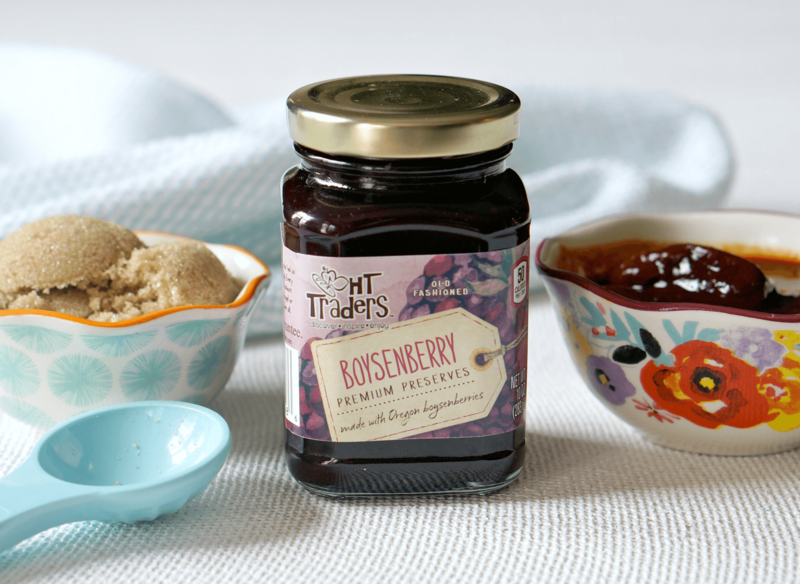 I love anything soy, and when combined with the apricot preserves it’s the perfect sweet-salty combo. I like to add dash of sriracha for extra kick! BIO: Katie Harding is the publisher of Forks and Folly. A self-taught cook and die-hard foodie, Katie lives in Charlotte with her husband and three boys. Besides cooking and eating, she loves craft beers, running, and the oxford comma.